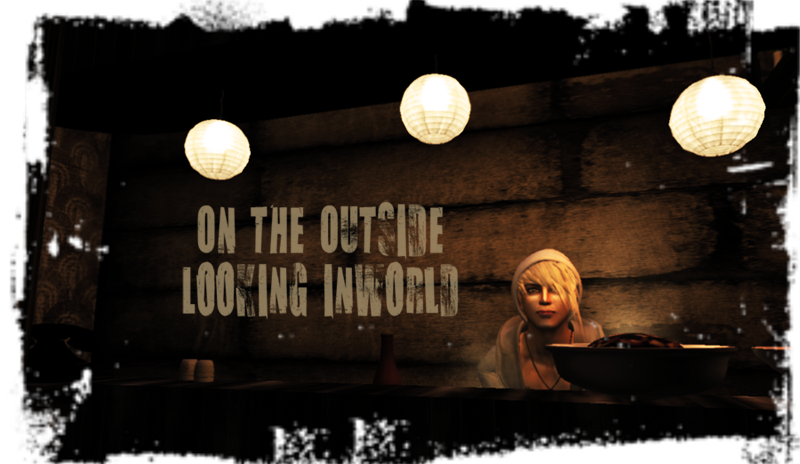 On the Outside looking Inworld: Guhh..and...Buuhh...and trying to write an essay. Guhh..and...Buuhh...and trying to write an essay. Guuuh, I'm currently in the process of trying to write at least 1000 words of a 5000 word essay for a hand in tomorrow. It's not going at all well but for some reason I'm not insanely panicking. probably because the hand in is just a draft and I'll still get marked no matter what I hand in as long as it's something. I chose the topic of homosexuality in animation because it tied in well with the essay I wrote last year on the portrayal of masculinity in Disney films. I'm having a major writers block at the moment and probably the thinking of this not being a proper hand in is holding me back. I had a little time on SL today but decided not to spend too much time online. It's the first time I've actually done any Christmas shopping too. But I only ended up finding another hunt gift on the Zombie Popcorn hunt. Might post up a picture tomorrow. Last night was a very quiet night DJing. I'm currently wondering whether or not to find other places to DJ to get the lindens in. Plus I can never seem to invite many friends to Spankies due to them feeling a little uncomfortable around the..um..younger looking avies that tend to dance there. I tend to feel a little uncomfortable when heavy flirty and naughty talk comes up in local chat but most of the time everyone is generally nice and innocent. After dancing with Brice at Club Zeus I headed back to the skybox, chilled out to some music and wondered if Tel would come back online like he said he would. I knew I wouldn't see much of him this week so was really hoping he would. Sure enough he did and we spent the rest of the evening cuddled up by the fire. Though the time difference makes things hard it hasn't stopped us yet. And there's something about cuddling up with him in the evening that makes sleeping a whole lot easier. RL has got somewhat lonely over these last few days. I work on a big project alone so spend most of my time working on that. My flat mates are not the most sociable of people at the moment what with one starting anti depressants and one recently finding out her boyfriend had cheated on her. I feel bad for both of them but the mood in the flat is somewhat uneasy when one just runs off to hide in her room while the other will expressively talk about how life is so hard on her. At least Jack (my other flat mate) and I will have conversations from time to time and there's always a social half an hour at 7pm when most of us watch Hollyoaks. lol. Even SL is becoming a place I don't feel too comfortable in from time to time. I always seem to be walking on eggshells with some people and friends I use to have have become pretty distant. Whether the reason is me or they just have other things on their plate I don't know. Those moments I get with Tel really give me a chance to be myself which I'm always thankful for and I truly adore his company. Hopefully we'll get a chance to see each other this week. At least we have blogs to keep in touch, kittentits. *snickers* I love our times together, too, sweetie, and you're right.... it does make sleeping easier at night. More reason to shop at this store. The most random sim in the world. All I wanted was a music box!